With 2,76 billion Euro sales in 2012, INTERSPORT has consolidated its position as world-wide leading associated group in the sporting goods market. Now INTERSPORT is going even further for its members with the introduction of a professional Marketing Management System (MMS). The goal is connecting strong national marketing with targeted regional trade advertising. The project was managed by the MEHRKANAL agency, which set up the MMS for around 1,000 specialized sporting goods dealers with around 1.500 retail areas within the INTERSPORT group. To improve the service offer for its members, the INTERSPORT association is permanently working on the further development of its vertical, marketing-oriented trade organization. In this effort, INTERSPORT is relying on the cooperation of national elements in connection with local actions. The marketing model considers, on the one hand, uniform international standards, while leaving space for national, local adaptations. This ensures closeness to clients and markets. The MEHRKANAL Marketing Management System connects precisely to this business model: campaign planning is a single-source web-based transaction. This makes it possible for all INTERSPORT dealers to simply and comfortably adapt the centrally prepared marketing measures to their regional needs and to produce and distribute them in an individualized fashion via the MMS. In its range of products, INTERSPORT relies on the products offered by its strong exclusive brands, as well on the classic and recognized brands of the global sporting goods and sports fashion market. With the help of the new Marketing Management System, all connected members can implement their local marketing measures, individualized with specific content, with little effort - always completely compliant with applicable corporate design specifications. 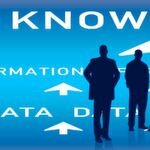 The central element of the MEHRKANAL solution is a powerful software program with integrated data banks and communications modules for the creation and distribution of individual prospectuses, flyers and news print inserts. As a further enhancement step, additional communication channels, such as for example an advertisements and print mailing module, will be made available to INTERSPORT dealers within the Marketing Management System. The service portfolio of the MMS is rounded out with an integrated Media Asset Management Module, an advertising materials shop and the Marketing Planer Module for optimized yearly planning of marketing measures. Orders input via the MMS are transferred into the INTERSPORT SAP-System via a digital interface, and processed to invoicing. INTERSPORT Deutschland eG, Heilbronn, with around 1.500 retail outlets that are realizing sales of over 2,7 billion Euros, is the worldwide largest association of mid-sized sporting goods retailers. It is a founding member of IIC INTERSPORT International Corp. with headquarters in Bern/Switzerland. Within the IIC approximately 5.700 businesses in 63 countries including "The Athlete's Foot" are currently making sales of around 11 billion Euros. 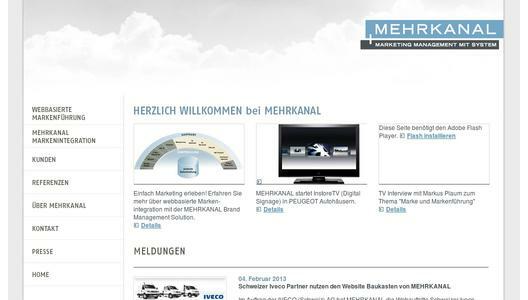 MEHRKANAL is one of the leading suppliers of marketing management systems, based in Essen. The company is specialised for establishing, leading and integrating brands in and via the internet. Due to the close networking and the interaction of web-based tools, Mehrkanal optimises marketing and sales of numerous internationally operating brand manufacturers. The customer portfolio includes companies as Peugeot, Ford, Kia Motors Europe, Jaguar, Land Rover, Renault, Dacia, Deutz-Fahr, Intersport, Claas, Stihl, Iveco, Pirelli, Hyundai, and Tamaris.